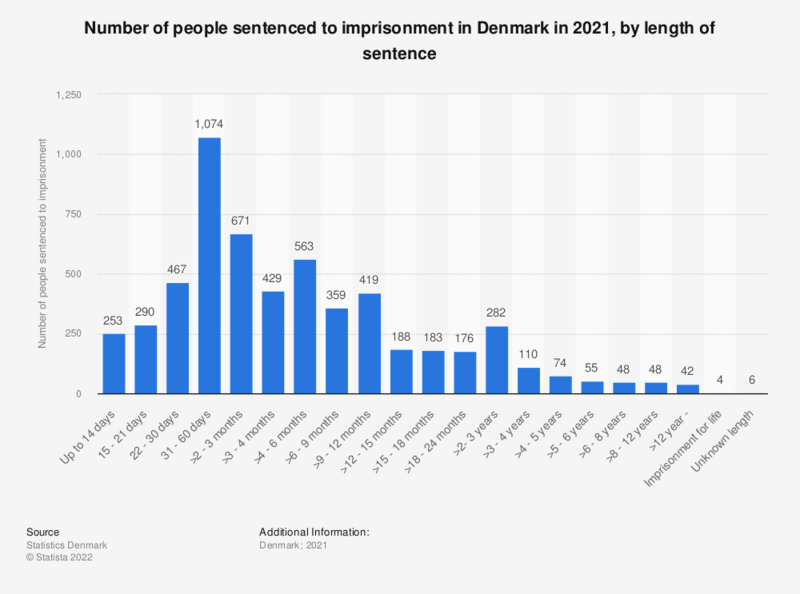 This statistic shows the number of persons sentenced to imprisonment in Denmark in 2017, by length of sentence. 31-60 days sentence was the most common with 1,612 sentenced criminals in 2017. The statistic shows the length of sentence for criminals in unsuspended imprisonment.